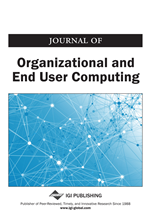 Four hypotheses of organizational factors affecting the extent of end user computing (EUC) were investigated by means of a field study. The study encompassed 108 users in 21 organizations. The major findings in the data presented here are that the extent of EUC is closely associated with organizational size, DP resources, top management use, and users needs. A model is presented integrating these factors within a framework of organizational information resources.